Telling the time worksheets for the nearest five minutes. There are two types of questions. 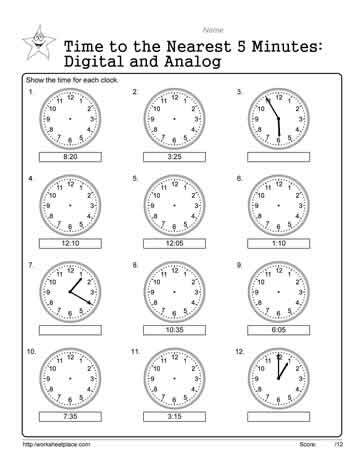 One type to draw the hands on the analog clock and the other type is to look at the hands on the analog clock and write the number for the digital clock.